This guest post was written by Emily Coates, PT and DPT, a Baltimore runner and member of the MedStar Sports Medicine team who is passionate about getting kids active and healthy. Physical literacy, as defined by the Aspen Institute’s Project Play, is the ability, confidence, and desire to be physically active for life. We learn to read by memorizing letters and the sounds they make, and stringing them together to create words. The greater the practice, the better the reader. Similarly, we learn motor skills the same way. From a very early age, kids use exploratory movements to build the pathways between the brain and the body, which aids the development of basic motor skills. Just like the reader who strengthens her skills through practice, children build motor patterns by combining agility, coordination, balance, and body awareness; the more they practice, the more mature these motor skills become. However, without the foundational building blocks of balance, coordination, strength, endurance and body awareness, kids are unable to create motor plans for the more advanced skills that often come more easily to their peers. This commonly causes frustration and a lack of enjoyment during sports and physical activities, and can eventually lead to dropping out of sports altogether. This scenario does not provide for long-term involvement in athletic pursuits and self-promotion of a healthy lifestyle, because these activities stop being fun for kids. It’s a lot more FUN to be physically active during PE, recess, organized sports or free play at home when kids have the skills, self-assurance, and motivation to keep up with their peers. What types of activities does your child pursue in his/her free time? Is your child eager to participate in PE class and organized sports activities? Do you have any concerns with your child’s physical ability to keep up with his/her peers? Does your child demonstrate confidence when performing physical activities? Identifying and addressing a lack of physical literacy in your child’s early athletic participation improves the likelihood that your child will continue to pursue physical activities for life-long health and wellness. Could your child use a little extra help to develop and mature motor skills? There are many things that can be done to help children who need some extra support developing and maturing gross motor skills. Active Kids is a new physical therapy program at MedStar National Rehabilitation Network’s Wilkens Avenue clinic that promotes physical literacy for long-term health and wellness, by helping kids to move better, more, and to be encouraged to participate in healthy activities. During the individualized sessions, children will work on basic exercises and movement patterns to improve coordination, balance, strength, and endurance –translating to improved running, jumping, balancing, and awareness of body position. The result? Better motor skills, a higher likelihood of enjoying physical activity, and increased confidence and skills to better keep up with their peers. Active kids are healthy kids! 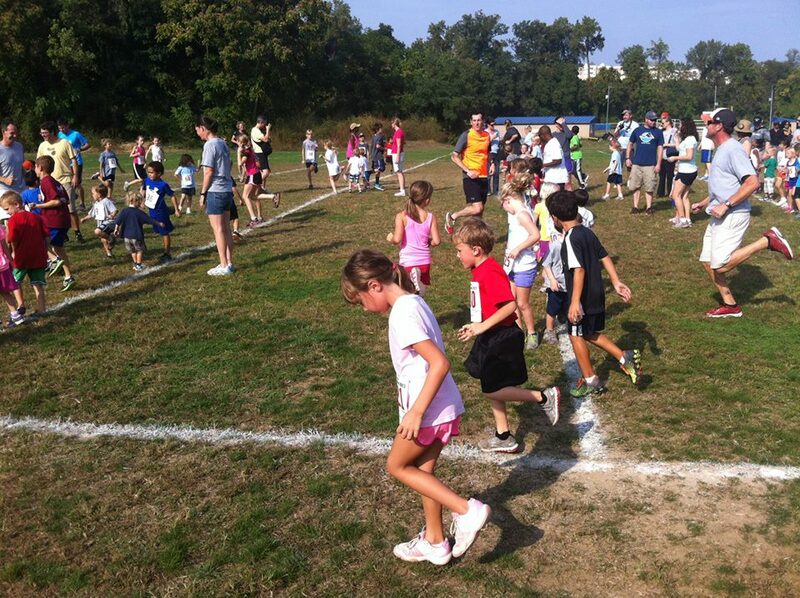 Help promote movement and activity for your kids at the Charm City Run Kids XC Series held Sunday afternoons this fall. The fun, low stress environment is a great way to encourage physical activity and movement. Emily Coates, PT, DPT is a Baltimore area physical therapist and runner, focused on getting kids active and healthy, and keeping them that way. Emily earned her Doctorate of Physical Therapy from Clarkson University in 2009, and has been a part of the MedStar Sports Medicine team since 2014. Emily's experience is diverse, but she brings special focus to the treatment of orthopedic and sports injuries of the pediatric and adolescent population, including management of concussions and addressing poor coordination in early sports participation. She is an active member of MedStar’s Pediatric Sports Medicine and Running specialty groups, and the creator of the Active Kids program.